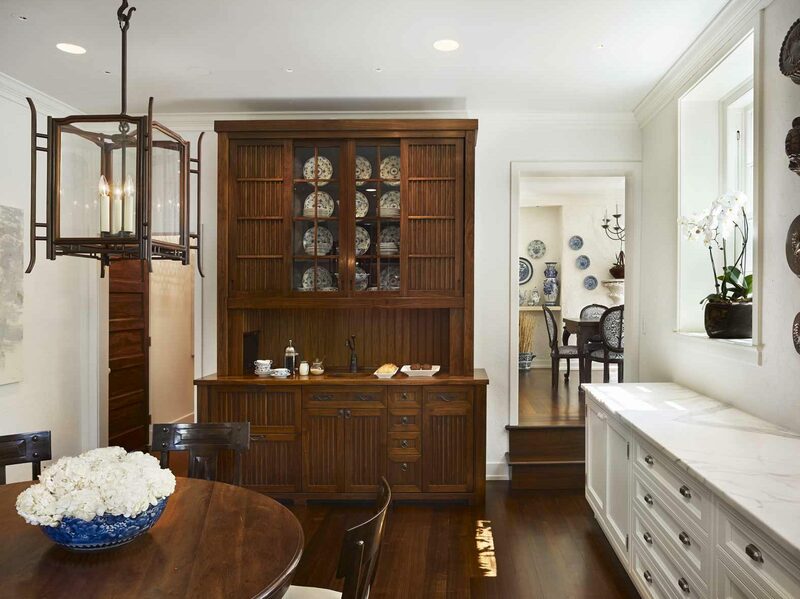 “We’re always looking to incorporate the hand.” So says interior designer Marguerite Rodgers, of her eponymous Philadelphia firm. While many designers are known for discovering and celebrating fine craftsmanship, Marguerite is an accomplished maker in her own right. Already a skilled seamstress by the time she enrolled in college, she planned to become a fashion designer. But after discovering that she loved working with wood far more than needle and thread, she changed course. First, opening her own furniture making shop, and later, constructing an entire post-and-beam barn using eighteenth-century building techniques. Commissions for both furniture and building projects soon followed, keeping her busy through graduation and beyond. 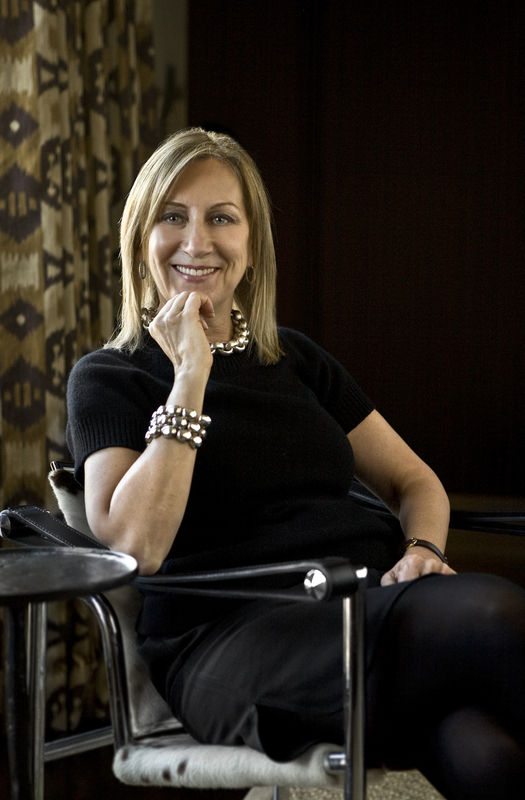 Since then, her exacting eye has helped shape the look of countless private residences, hotels and restaurants. 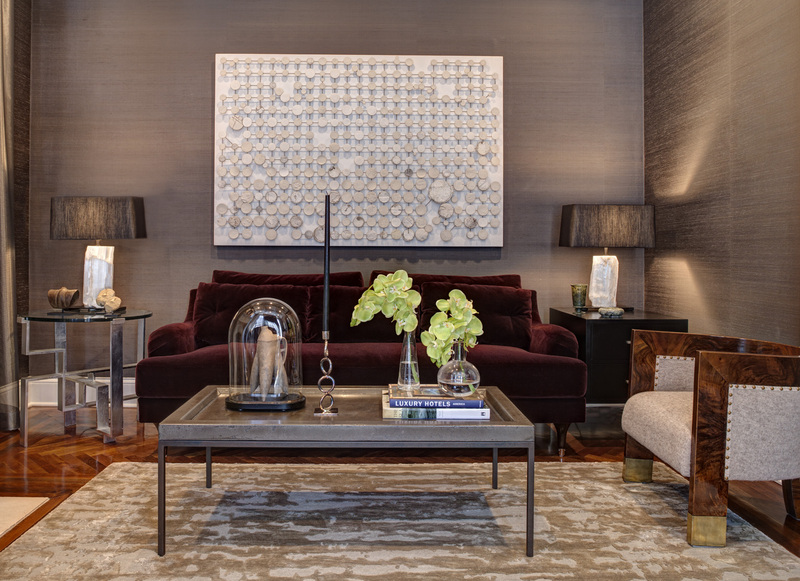 These days, Marguerite and her team frequently design one-of-a-kind pieces tailored to suit the client’s aesthetic and lifestyle. Besides freeing them from needing to shop for that just-right piece, the approach allows collaboration with top area artisans. 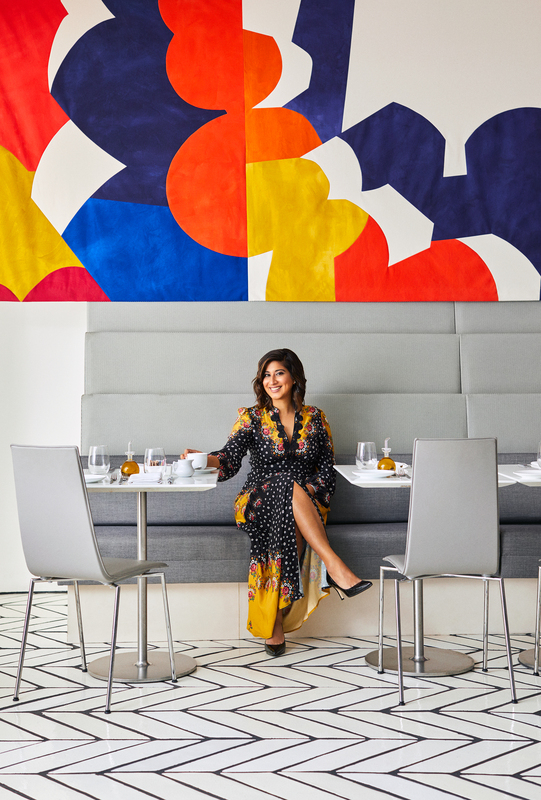 “There is custom work in every room we do,” she says. 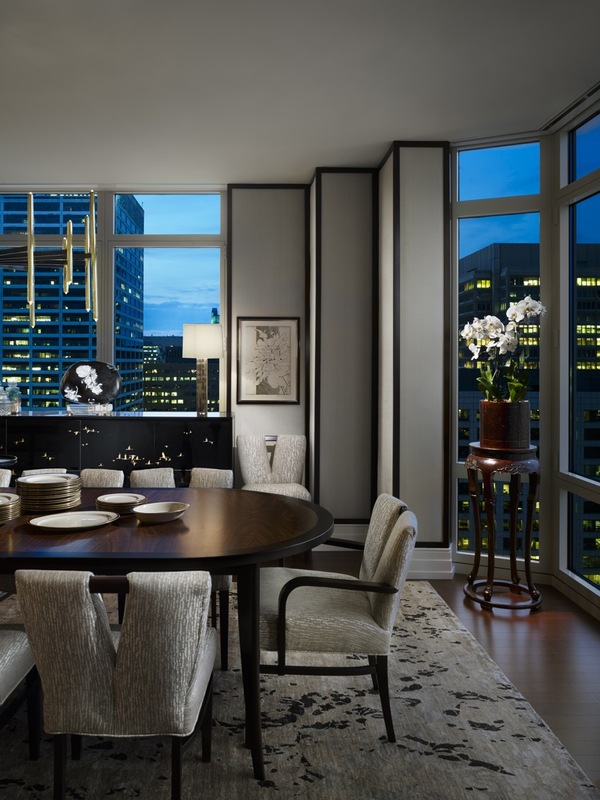 The sophisticated dining room above was created for a couple who purchased a centrally-located home for their large, far-flung family to gather on holidays. “We wanted to do something chic and urban but also very comfortable and relaxing,” says Marguerite. The table is custom, inspired by an antique, and adapted with celebratory meals in mind. Six leaves allow it to quickly transform, making it versatile enough for get-togethers of any size. Meanwhile, the dining chairs are vintage, and the Chrysanthemum Stone (on sideboard) was formed hundreds of millions of years ago but found in modern times. A cache of vintage lantern frames—won at auction, and reinvented with each iteration—have found their way into many of Marguerite’s projects. 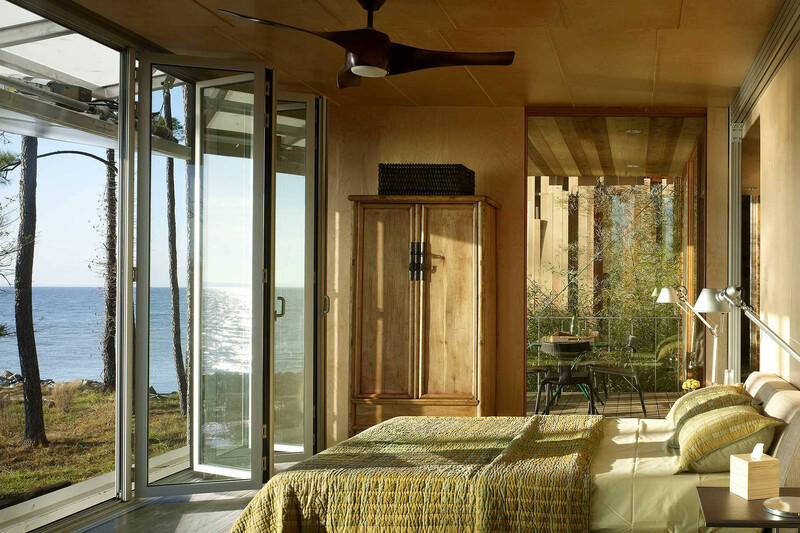 “We’ve made them with mica, glass, sandblasted glass, and woven bamboo,” says Marguerite. An example in clear glass hangs above, in front of a custom cabinet inspired by Japanese Tansu. The alchemy of old, new and custom is evident even in Marguerite’s own home. 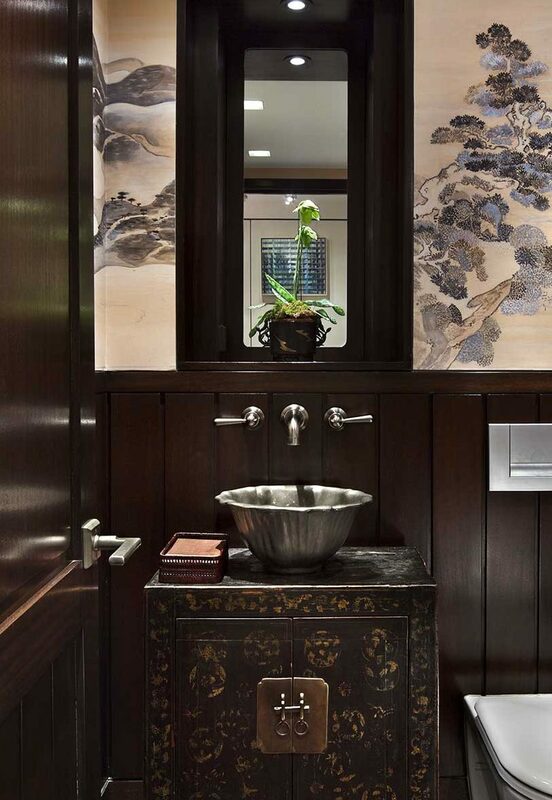 In her powder room (above), the hand painted walls tell a moving, ultra-personal tale. “We adopted our daughter (now 15) from China,” she explains. “This mural represented our travels to her. 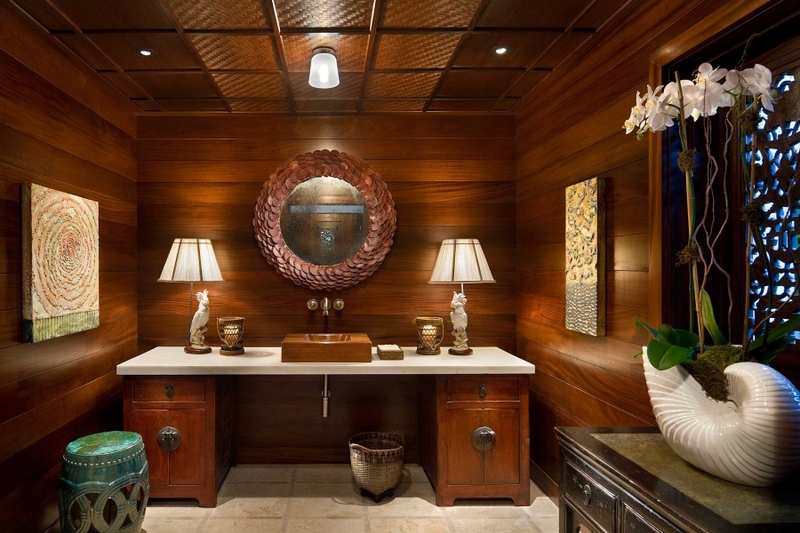 I have an artist, who I gave photographs and books, and I told him about our trip up the river.” Meanwhile, the vanity is an Asian antique and the tankless commode is modern. In the frame above, what appear to be scholars’ stones are actually reverse paintings done by the same trusted muralist. 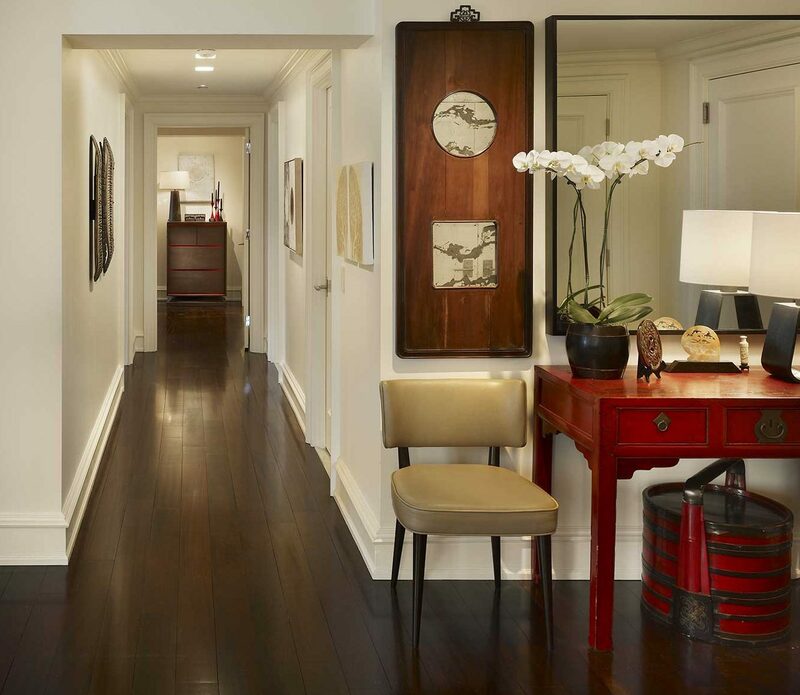 In the foreground are Asian antiques and decorative objects, while the wood and lacquer cabinet at the end of the hallway is a modern work by designer Juin Ho. 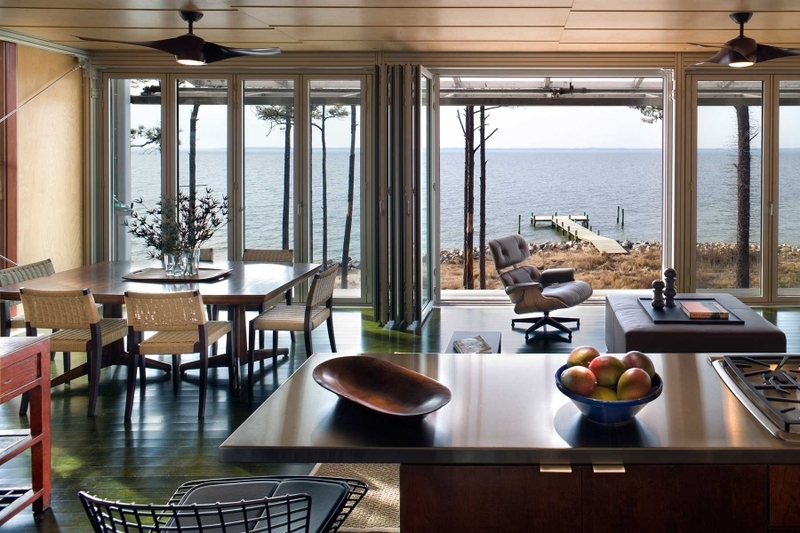 Hero shot: An Asian armoire grounds a modernist, waterfront home. 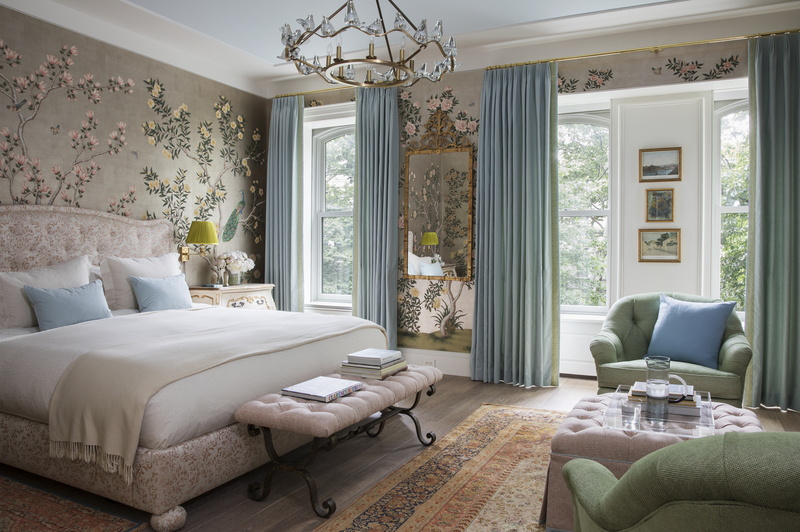 Design: Marguerite Rodgers Interior Design, photo: Halkin | Mason Photography. Are you an architect or designer with a story to tell? Register with us to receive exclusive discounts and benefits, plus free shipping on your first order. Trade professionals are also eligible for collaborative features on our blog and social media channels. Please note that trade registration with PAGODA RED is only open to interior design and architecture professionals.